The field of hotel management is exciting and diverse, and students who earn a degree in hotel management, or a closely related field, will be setting themselves up for a high paying and exciting career. The schools on our list have been selected for their reputation, program diversity, hands on training, and academics. What are the best hospitality degree programs in the US? With a large number of hotel management schools available in the U.S., we understand that it is not easy to just choose one, but we sincerely hope that this list will enable you to narrow down your options. Cornell University is the only Ivy League School to offer a degree that focuses specifically on management in hospitality. Courses focus on business management, financing, and design, and students can choose from among more than 208 companies to work with for internships and networking opportunities. What is unique about this program is that it is located in the heart of Las Vegas, which is one of the world’s hospitality hubs. The school has a well-earned reputation for engaging in industry driven research and offers a number of interesting concentrations for students to focus on, including PGA Golf Management, gaming management, and restaurant management. Established in 1927, MSU has one of the oldest hospitality management programs in the country. Undergraduate students are required to complete 800 hours of internships before being allowed to graduate, and the program offers an interesting variety of concentrations and minors, like a minor in hospitality business real investment management, for students to choose from. The Conrad N. Hilton College is consistently ranked among the top hospitality management programs in the U.S. The school emphasizes hands-on learning, in addition to traditional teaching methods. On average, 80% of a graduating class already has a job lined up before they actually graduate, which is one of the highest outplacement percentages in the world. UCF prides themselves on offering a diverse range of programs that will provide their students with a leading edge over their competition. A wide variety of academic minors to supplement degree programs are available in a wide range of programs. Their comprehensive list of courses covers all aspects of hospitality management, including wine and spirits, event planning, and lodging operations. The FDU International School of Hospitality and Tourism Management has developed a broad network of programs with universities and schools in Europe, South America, and Asia. Each year, the school offers more than 700 international and domestic internships for their students, which is one of the most extensive internship/outplacement programs in the U.S. for any hospitality management program. In the Stout School of Hospitality Leadership, professionalism, service, and leadership are highly stressed. The school offers two different locations: the Rendezvous Restaurant and the Cornier III-Cedar Café, for students to gain hands-on experience in. At large, the college boasts an impressive 90% employment rate for graduates of its hospitality program. Founded in 1946, the Fritz Knoebel School of Hospitality Management is one of a handful of hospitality programs that are housed within a college of business. The program is accredited by the Association to Advance Collegiate Schools of Business – one of the most difficult certifications for a business college to obtain. For this reason, graduates of this program will leave with a solid business education that other hospitality programs can’t offer. Students of the W.A. Franke College of Business – School of Hotel and Restaurant Management are required to complete more than 1,200 hours of coursework, and business management strategies and confident leadership are emphasized throughout the program. The school offers a plethora of interesting seminars, like SHRM Pathways, and over 70% already have a job offer upon graduation. The Department of Hospitality and Tourism Management at the Pamplin College of Business offers more than $50,000.00 in financial aid to its students each year, and upon graduation, 100% of its students have completed at least one internship. The program’s curriculum balances hospitality management classes with university general education requirements and a strong business core. This program is tailored towards students who are learning via long distance. This is particularly beneficial for those who may already be working in the hospitality industry, but would like to further their education. Students of this program can expect hands on learning from experienced professors, excellent networking opportunities, and the chance for a successful career. UM at Amherst is a distinguished program that offers hands on training through internships, projects, and experiential learning labs. Their innovative, cutting edge curriculum offers the ideal balance between practical application and academic rigor. Experienced faculty members work closely with their students in all aspects of the program. For more than 75 years, Penn State has been turning out graduates who are among the best in their field. Students must complete a minimum of 1,000 hours of hands-on experience as part of their education, and the on-campus Laura Café offers students the chance to develop extensive knowledge of food preparation, restaurant management, and how to deliver the best available customer service. WSU’s School of Hospitality and Business Management prepares its students to succeed in the management of consulting, event planning, service, sales, revenues, and operations. The program consistently ranks in the top 5% of 170 similar programs found throughout the United States, and their alumni live and work across the globe. In addition to course work, OSU students are required to complete 800 hours of hands on experience at one of the school’s two onsite restaurants. OSU has one of the only hospitality programs in the country to offer its own, on-campus hotel, which students can gain invaluable experience. There are also multiple opportunities for internships with hotels in Switzerland that the school partners with. Johnson & Wales University prides itself on offering a unique education opportunity that is tailored to each student’s interests and strengths. Their hospitality program focuses its curriculum on leadership and business, and the college strives to keep class sizes small. Internships are offered locally, as well as internationally, with opportunities available in Europe, Australia, and Asia. With more than 1,350 students enrolled in the Collins College of Hospitality Management, CSP boasts the fourth largest hospitality management program in the country. Currently, the program focuses on offering students a diverse range of internships, courses, and networking opportunities. Students can intern at the campus’s award-winning, on-campus Restaurant at Kellogg Ranch. Philadelphia has been ranked at one of the best cities in which to learn about hospitality management, and the Center for Hospitality and Sports Management has developed professional relationships with every food company in the city, as well as the finest hotels and restaurants. Students can choose concentrations within their major that are relevant to their interests. In 2016, the Cecil B. Day School of Hospitality Management was ranked in the top 30 hospitality and hotel management programs in the world by CEOWORLD magazine, and the program has only continued to go up from there. Comprehensive coursework and abundant, unique internships are just a few of the perks students in this program enjoy. Kendall College is a member of the Laureate International Universities. Thus, it has developed student exchange programs with Glion, Australia, Spain, Switzerland, and China. The school also offers the coveted Advanced Certificate in International Hospitality Management, which opens up a wide variety of international job prospects for students who earn it. Located in the heart of sunny Florida, Dedman School of Hospitality focuses on providing students with a top notch, global education that will prepare them to work in hospitality fields across the globe. With the school’s vast affiliation network, there are a plethora of recruitment and internship opportunities for students to take advantage of. Although it is now the sixth largest hospitality management program in the United States, UNT was the first program of its kind to be recognized by the Accreditation Commission for Programs in Hospitality Management. The college requires students to complete 300 hours in hospitality related work experience and 300 hours in merchandising related work experience, in addition to a major-related internship. Annual Career Expos attract businesses to the campus, who recruit students for careers and internships. The School of Tourism and Hospitality Management at Temple University has a lot to offer. 100% of the school’s students are provided with invaluable, experience building internships, and approximately 90% of the students that graduate from the program obtain employment in their chosen profession within three months of graduation. Temple University offers three unique areas of specialization: event planning, destination management, and hospitality operations. Miami, Florida is one of the prime tourist destinations in the U.S., so students at FIU are afforded a plethora of internship opportunities throughout the city. FIU also partners with Tianjin University of Commerce in Tianjin, China, so students have the chance to study abroad as well. FIU’s hospitality management program is quite flexible, and students can earn their bachelor’s degree through their residence based program, fully online, or through a hybrid program. The University of Alaska is the only university in the state to offer a bachelor’s degree program in hospitality management, and students have the option of completing their degree on campus or online. Each student gets hands-on experience at the on-campus Lucy Cuddy dining facility, and each student must also complete a 600 hour, paid internship. Internship opportunities are available throughout the state, on cruise lines, or internationally. During a student’s undergraduate studies in hospitality management, they are required to complete two internship opportunities, and there are international internships available. Students earn career boosting, hands-on experience through Purdue’s quick service and fine dining restaurants, and the college’s career center coordinates more than 700 interviews between graduates and prospective employers each year. During their hospitality studies at Texas A&M University, students will focus on important topics like fundraising and financing, marketing, event planning, business management, and behavioral and social sciences. The Journal of Hospitality & Tourism Research has named Texas A&M’s program as the 12th best hospitality program in the world. Founded in 1922, the hospitality management program at Kansas State University has a rich history. It is one of only 60 programs accredited by the Accreditation Commission for Programs in Hospitality Management. Students are required to complete a minimum of 1,000 work hours through internships, and the curriculum focuses on meeting management, lodgings, food service and safety, and business management. The hospitality management program at ISU offers small class sizes so that students can enjoy the benefits of working with their instructors one on one and in the school’s state of the art facilities and labs. The school works in conjunction with major employers, like Disney and Marriot Hotels, to provide students with a diverse range of internship opportunities. The program was ranked 15th best in the world by The Journal of Hospitality & Tourism Research. Students who study hospitality management at U of I combine their hospitality classes with 21 semester hours of business classes, which is almost as many hours as students minoring in business take. Subsequently, these students develop a strong background in business that appeals to many employers, ranging from country clubs to full-service hotels. The hospitality management program at U of I was ranked 18th in the world by The Journal of Hospitality & Tourism Research. Studying hospitality management at ASU blends hands on experience with classroom learning. Students learn management and planning skills that will serve them well in a wide variety of roles in the hospitality industry. Undergraduate students can choose one of three concentrations aimed at enhancing their overall education and skill set: resort and hotel leadership, sustainable tourism, or resort and accommodation management. Students who major in hospitality management at OSU receive a comprehensive education that includes a diverse range of courses, including menu planning, hotel operations, marketing, public relations, employee relations, and food production and management. Students are also required to complete a minimum of 2 internships while at OSU, and for the last three years, 100% of graduates have found employment upon graduation. Hospitality management degrees are offered at all of California State University’s 14 locations; however, the campus at Fullerton is the only one that offers a unique concentration in entertainment management. With this degree, former students have found employment in the cruise, gaming, and restaurant industries. CSU at Fullerton strives to provide their students with a wide range of interesting internship opportunities. San Diego is one of the biggest tourist destinations in California, and consequently, students at CSU at San Diego are provided with a wealth of unique internship opportunities. The school’s curriculum focuses strongly on business administration and boasts a job placement rate (upon graduation) of 82%. The hospitality management program at Stratford University is one of a select few in the United States that is accredited by the American Culinary Federation. The school offers a variety of unique teaching methodologies that are designed to give students a comprehensive education, including cooking competitions, dining events, lectures, and labs. The school does offer accelerated programs that will allow students to earn a bachelors’ degree in as little as 30 months and a master’s degree in as few as 15 months. A Catholic, liberal arts college who serves students of all faiths, Saint Leo University is one of Florida’s best rated universities. With Orlando to the east and Tampa Bay to the west, the school is the ideal place to study hospitality and tourism management. Students initially take the standard courses found in a liberal arts education and then choose to focus the remainder of their education on either hospitality management or international tourism specializations. Students take part in internships, study abroad opportunities, and conferences. Located in the heart of Boston, Massachusetts, students who study hospitality management are provided with a comprehensive education in the heart of one of America’s oldest cities – all while being offered the support that comes with attending a small college. The focus of the program is professional, memorable, high-quality service with a strong foundation in general business and sectors of the hospitality industry including hotel operations, resort and casino management, and more. Internships are an important part of Bay State’s program, and opportunities are available with leading companies such as Starwood Hotels and Walt Disney World. Students have the option of getting a minor in business administration to further enhance the value of their education. To graduate, hospitality management students at TSU must earn 120 credit hours. Through the required coursework, students will learn how to manage lodging facilities, restaurants and food services, special events. Other topics that the curriculum addresses include sales, human resources management, finance, marketing, business policy, and organizational behavior. With this comprehensive education, students are prepared to fill a variety of roles in the hospitality sector. Located in the heart of the Appalachian Mountains, UTK enjoys close proximity to Dollywood and a number of high end, boutique, and full service hotels and lodgings. This provides students with a plethora of unique internship opportunities. The hospitality management curriculum at UTK requires students to complete a minimum of 300 hours of post-secondary work experience in their chosen field prior to graduation, and opportunities to study abroad in Western and Eastern Europe are available. Located in Chicago, Illinois, Roosevelt University gives students the chance to work and learn in the city, which packed full of world class hotels and dining establishments. The program offers four areas of concentration: food and beverage management, lodging management, sports management, and events and convention management. Students are also afforded the opportunity to garner experience through unique partnerships with leading hotels, convention facilities, and restaurants. The University of Missouri takes a unique approach to education. Students who are studying hospitality management at UM are allowed to tailor their classes towards the career field that most suits them. During their undergraduate senior year, students are required to develop put their skills into practice by developing a business plan for a hotel or restaurant, which is then evaluated by professors and industry experts. The school also supplies a plethora of internship opportunities for its students. The hospitality management program at Thomas Edison State College has won many accolades for its in-depth curriculum. The program focuses on four primary topics within the hospitality industry: contemporary challenges, general operating procedures, international trends, and career opportunities. 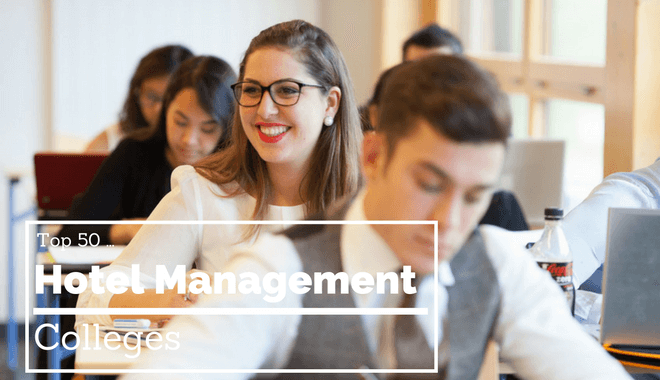 In addition to an internship, students must also complete a capstone requirement, Strategic Management, which is designed to prove students’ knowledge. Auburn University is home to one of the largest universities in the Southern United States, and their hospitality management program is designed to prepare students to address both social and health needs on a local and global scale. Because Auburn is the home of the Auburn Tigers, much of the local culture is football oriented. This provides Auburn’s hospitality management students with unique internship opportunities that focus on event and convention planning. Situated in the heart of New Orleans, the University of New Orleans offers its students one of the South’s best hospitality management programs. The official home of Mardi Gras, the city provides a wealth of unique internship opportunities. Students at UNO must complete 600 hours of internships related to their field and are encouraged to specialize in one of the program’s four concentrations: tourism, food and beverage management, convention and event management, and hotel and lodging. A required internship of 800 hours, small class sizes, customized advising for each student, and a plethora of student organizations make USF a popular option for students who want to study business administration with a specialization in hospitality management. The program focuses on teaching sustainability – believing that it is critical to the future of the events & meetings industry and enables individuals and organizations to demonstrate social responsibility. Individuals who choose to attend Platt College to study hospitality and restaurant management will experience a combination of practice and theory throughout their education, which will assist them in building their managerial, leadership, and administrative skills. This accelerated program is structured in such a way that students can expect to finish their bachelor’s degree in just under two years. The School of Hotel, Restaurant, and Tourism Management at NMSU provides its students with more than $45,000.00 in scholarships and financial aid each year, and the university has one of the Southeast’s top-ranked programs. Here, students obtain an interactive, hands-on hospitality management education at the college’s state of the art technology lab and food production and service lab. Eastern Michigan University is the only school in the state that offers an accredited hospitality management undergraduate program. The university offers students multiple networking events and opportunities, in addition to multiple opportunities to study abroad. The program focuses on offering students hands-on work experience that is seamlessly integrated with management skills and theoretical knowledge. Texas Tech’s Restaurant, Hotel, & Institutional Management is one of the top-rated schools in the country and is accredited by the Accreditation Commission for Programs in Hospitality Management. The program includes courses in hospitality management and general education, with additional support classes in communication, accounting, and employee management.